Cutlasses » And so it begins.. So, 3 gigs down and I’m already blogging about it. My aim at the moment is to try and document my experience of creating some of my compositions, and the fun and frustration along the way. I’ll probably waffle a little bit about field recording, and discuss some of the tech I’m using, and hopefully provide answers to some of the things I struggled with (expect detailed essays on using dummy clips in Ableton). 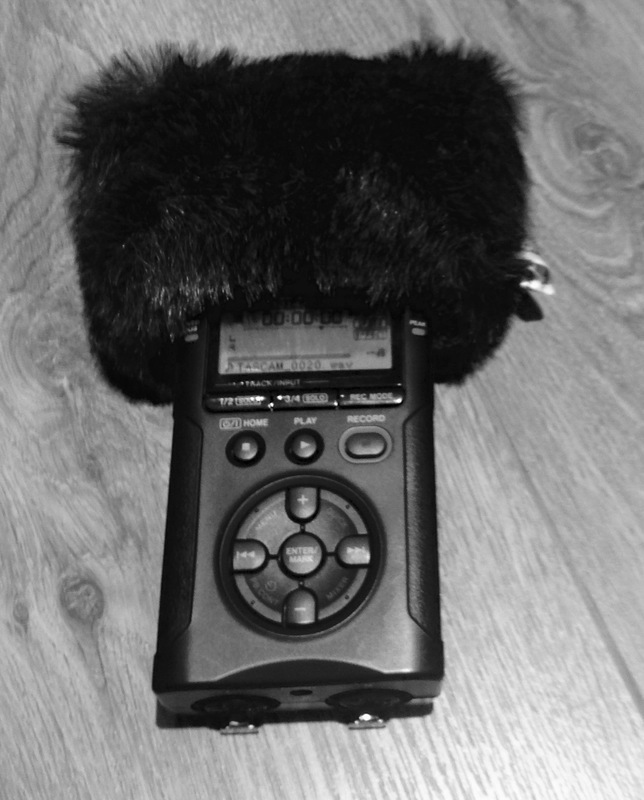 It’s getting late now, and I promised myself an early night, so I’ll sign out here with an exciting picture of my new field recorder, complete with little hat! (It’s a Tascam DR-40, the little hat, or windshield, is from eBay).